DORS is a British charity working in rural Sichuan Province, China. DORS aim is to help relieve poverty in Sichuan by implementing small-scale village-based projects that promote sustainable rural development through infrastructure, rural energy, capacity building, micro-loans, education, income generation, disaster relief and reconstruction, and environmental improvement. DORS focus is on women, seniors, children, the handicapped and the poorest in the community. DORS works in particularly poor counties in the south west of Sichuan, high up in the mountains that rise to the Tibetan plateau in the West. From the DORS' office in Hanyuan, poverty alleviation projects are designed and implemented specifically in response to the actual needs of the farmers in the counties poorest villages. DORS approach is to work together with communities to find out what assistance they need to improve their livelihoods. We believe that the farmers themselves are the people most able to understand their own situation, and to initiate change. DORS rural development projects are integrated and sustainable, so that the benefits will complement each other. The charity was established in 1996 by Rose Acock and is a registered UK charity (no. 1061133). 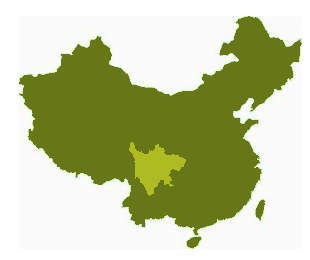 Sichuan Province is one of China's largest provinces. Located in the southwest of the country, it is famed for its spicy food. DORS began working in Hanyuan County, some 250 km southwest of the provincial capital, Chengdu in 1997. The mountainous county town lies at the confluence of the Dadu and Liusha rivers. Since 2000 DORS has also beenimplementing community development programmes in villages in neighbouring Ganluo County, across the Dadu River in Liangshan Yi Autonomous Prefecture.